Employees – hire them for a fair wage and fair expectations. We don’t hide information from our team so that we can use it against them later. We hold them accountable with the communication on job sites. We don’t make promises we can’t keep. Vendors – communication is key. Our vendors are a key component to how we deliver our service. Clients – provide a quality project at a fair price. No hidden charges and no unfair business practices. If we make a mistake, we own the mistake and fix it. We strive to be open about the process. 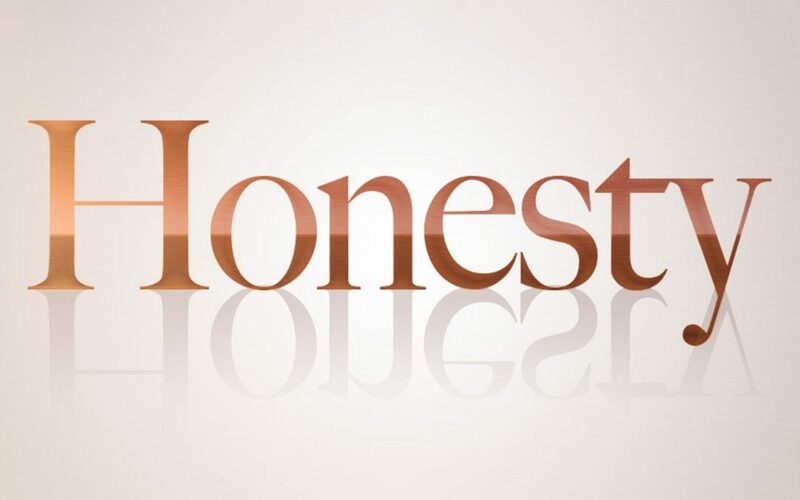 Honesty is a continual process. We hold ourselves accountable. Our vendors and clients hold us accountable. Most of all, God holds us accountable. If I expect my employees to represent my organization well, should I not hold myself to the same standard when it comes to God? If I tell you I believe in God, but operate dishonestly, what image of my God do you have. It is my duty to live a life that is honest before all men. Honesty can be difficult, but the joy that results from living an honest life is unexplained.